Starting with this chapter, you will find references to musical performances by our two starring musicians. For as many of these as possible, I have provided links to iTunes in the footnotes to the chapter. While writing the story I found several pianists who captured different aspects of William’s performing persona, and he is represented here by Van Cliburn, Vladimir Ashkenazy, and Murray Perahia, among others. For any professional musicians who may have found their way here, I realize that an artist of William’s stature would be expected to have a wider and more adventurous repertoire than I will be describing. However, William’s soul lives in the music of Chopin, Brahms, and Rachmaninoff, so I’ve often chosen to portray him that way when he performs for us. If you like, imagine that he plays a more diverse repertoire when we’re not there to see it. Elizabeth is personified for me by one voice, that of Broadway star Christiane Noll. Many of the songs referenced in future chapters come from her CD, “A Broadway Love Story.” Unfortunately, it is not available on iTunes, nor are there sample tracks on Amazon; however, you can purchase a new or used CD on Amazon.com, or buy a signed copy on Christiane Noll’s website. Sometimes I have been able to provide a link to a Youtube video of Ms. Noll performing, or to a recording by another singer on iTunes, to fill the blanks. I don’t profit in any way from sales of any of the music referenced in the story; however, it’s been a joy, in the years since I started posting AUS, to hear from readers who discovered new musical artists or styles through the story. Dinner was finished at last. William jumped to his feet with the alacrity of a convict making a jailbreak. “Where are you going?” Caroline called out, scrambling from her chair to follow him. “I thought that horrid Bennet woman would never stop talking, but we’re free of her now. Why don’t we go for a nice stroll in the courtyard?” She placed a proprietary hand on his arm. Shrieks issued from a nearby table; Kitty and Lydia were whooping with laughter at something, probably understood only by them. Charlotte Lucas rose from the table, accompanied by the man seated beside her. She smiled at William and deftly steered her companion in his direction. “We met earlier,” Roger said. William recognized Roger as one of the members of Charles’s jazz group, though he could never have supplied the name. He nodded and buried his hands in his pockets. “I understand you play a mean jazz piano,” Roger said. “Unfortunately for him, the feeling is not mutual.” Charlotte replied. “No, I don’t,” William replied, though doubt was creeping in. “Well, I hope you didn’t offend Lizzy.” Charles glanced across the room to the table where Jane and Mr. Bingley were still seated. “Oh oh. Father looks annoyed and Jane looks upset; I’d better get over there.” He sprinted away. Caroline was across the room, deep in conversation with Louisa, but William had noticed that she seemed to be tracking his movements. If he continued to stand alone, he had no doubt that she would materialize at his side, a prowling cat pouncing on a catnip ball. It was time to move or suffer the consequences. He strode into the hallway and reclaimed the armchair he had occupied before dinner. He considered what he should play for the guests. It should be something short and familiar, for the sake of people like Mrs. Bennet and Lydia, who would be unable to sit still for anything longer than the Minute Waltz. But it was also a chance to demonstrate his artistry. Why that mattered, he tried not to consider, but he could no longer delude himself. Just admit it. You want to impress her. She was a mystery: by turns sarcastic, silent, and friendly. Their conversation in the car had gone well, yet she had ignored him since then. Perhaps she simply preferred to use her time to talk to her family and friends, whom she saw only rarely. And as for her friendly demeanor with Bill Collins, he worked at the conservatory where she hoped to get a job. If only she knew who could genuinely help her to make a good impression on Catherine de Bourgh! Perhaps he would have a chance to tell her soon. Also, Elizabeth was his fan. While some fans were aggressive and talkative, like the woman at JFK airport that morning, his presence intimidated others into nervous silence. Why hadn’t he thought of that before? She didn’t seem easily intimidated, but hero worship sometimes manifested itself in odd ways. William rested his head on the high back of the chair and closed his eyes. He had almost drifted into a light sleep when two female voices disturbed the peace of the hallway. William stole a glance down the hall and saw Mrs. Bennet and her sister, Mrs. Phillips. “Like William Darcy,” Mrs. Phillips answered. William could almost hear her rubbing her hands together with glee. He accompanied her back into the Terrace Room and stood beside her for a moment, hoping to continue their conversation. His hopes were dashed when Bill whispered something to her, darting a glance in William’s direction. Elizabeth turned to Bill, her back to William, and spoke in a low tone. William left her side and went to the piano. He played some arpeggios, followed by a series of chords, and then several scales. 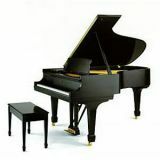 The piano was well in tune and had a fine tone, with a good balance of warmth and brilliance. “I was just making sure the piano was in good condition. But, please, let Elizabeth go first.” He took a seat at the table closest to the piano, turning his chair to face the makeshift stage area. Bill, oozing self-importance, installed himself at the piano. Elizabeth stood close behind him, studying the music over his shoulder and chatting enthusiastically. She rested a hand on Bill’s shoulder to steady herself as she pointed to something in the middle of the page, and William felt a twinge of—envy? He shook his head involuntarily. He was a solo artist, and proud of that fact. Orchestras accompanied him; he didn’t accompany others. At that moment, her eyes met his, and he looked away, humiliated by the possibility that she had divined his thoughts. He couldn’t remember his libido ever running amok as it had today, not even in his teens. He knew dozens of women more beautiful and more sophisticated than Elizabeth, women of refinement who treated him with respect and interest, who catered to his feelings and wishes. How had this one dark-haired, green-eyed girl tied him in knots so quickly? His reverie was interrupted by a hand on his shoulder. He turned to see Caroline standing beside his chair, yet another pout shaping her bright red lips. The guests gradually fell silent. Some took seats at the tables while others stood in small clusters around the room. William heard a commotion in the back of the room and turned, along with other guests, to identify its source. He saw Kitty and Lydia scurrying out the door, each holding two drinks. He accepted the recognition with a calm half-smile and a dignified nod. This sort of thing happened regularly. Her eyes bored into his, and his heart sank when he saw them blazing with anger. “This song is for you, William, to show you that I’m giving your advice all the consideration it deserves.” She gave the other audience members a conspiratorial wink. Be off with your Irving Berlin. And Gershwin keeps pounding on tin. It’s only for night-clubbing souses. Throughout the song, Elizabeth parodied a pretentious operatic diva. She was an accomplished comic actress as well as a fine singer, and she put on a show that had the party guests chuckling throughout her performance. He stared at the parquet floor tiles beneath his feet, unable to meet Elizabeth’s cold stare. That she was angry with him was bad enough, but in addition, she was publicly mocking him. When the song ended, he finally managed to look up. She accepted the enthusiastic applause with practiced grace. Then she moved toward the crowd, joining a circle including Charlotte and several members of Golden Gate Jazz. Bill Collins followed anxiously in her wake, like an awkward duckling waddling after its mother. Laughter rang out from the group. Laughter aimed at me. William scarcely heard the guests’ applause, too emotionally and physically off balance to register such details. Elizabeth’s back was to him as she stood with the jazz ensemble members; she didn’t even want to watch him play. A dull ache throbbed in his chest. But the moment his fingers touched the keys, his surroundings faded away. As always, the piano was a balm to his soul, his refuge from pain and trouble, and his primary means of speaking from his heart. Tonight there was so much that he wanted to say, even if no one understood. He had chosen to play a ballade by Chopin.2 Its dark and somber moments suited his mood, and the last section in particular displayed the pianist’s technique to great advantage. The piece began with a mournful melody and gradually built to a crescendo. Next, a more cheerful melody, yet one that still expressed intense longing, alternated with the original theme of loneliness and regret. The music ebbed and flowed between contemplative moments and passages of furious passion as his fingers flew over the keys. He poured all of the day’s disappointments and frustrations into the music, finding solace as always. As soon as William began to play, Elizabeth moved to one side of the room and stood alone, studying him. She was transported back to the first time she had seen him play, ten years before, when she was sixteen and had first fallen under the spell of his artistry. His connection with the instrument was as intense as she remembered, perhaps even more so. He poured out his feelings with overwhelming passion, allowing the listeners to eavesdrop on an intimate moment. His remoteness and reserve fell away and he laid his soul bare for all to see. She stood, mesmerized, finding it difficult to breathe. Much too soon, the gloomy final chord echoed through the room, the pain in the music unresolved. William sat motionless at the piano for a moment, and then slowly, almost reluctantly removed his hands from the keys and rose to his feet to the enthusiastic applause of the party guests. After a moment of stunned silence, she brushed a few tears from her cheeks and joined in the applause. Their eyes met, and she prepared herself for the unsettling impact of his intense stare. But he looked away after only a moment, his eyes dark and hooded. He must be angry about my song. Too bad. He deserved it after what he said to me. But she winced as she thought of her sarcastic “dedication,” which had exposed him to ridicule in front of the other guests. Yeah, Lizzy, that’s just great. Turn an artistic genius into your personal scratching post in front of a room full of people. She felt a hand on her shoulder, and turned to see Jane standing behind her. “Lizzy, may I talk to you for a moment?” Jane’s eyes were solemn. Elizabeth nodded, and the sisters stepped into a quiet corner. “What possessed you to treat William that way?” Jane asked. “Thank you.” Jane hugged Elizabeth and then hurried off to join her mother, who was speaking rapidly and in a loud voice to Mrs. Bingley. With a deep breath, Elizabeth took a determined step in William’s direction, but her progress was impeded by a hand on her arm. “Elizabeth?” Bill Collins stood at her side, an eager light in his eyes. “Yes, Bill?” She forced a smile onto her face. His voice faded into the background as she glanced around the room, searching without success for a tall head of dark, wavy hair. William sat alone on a stone bench in the courtyard. Small lamps glowed along the path, buried amidst the lush landscaping. A gentle breeze wafted against his cheek, the damp night air carrying the scent of a eucalyptus tree and the sounds of muffled laughter and conversation. He leaned forward, elbows balanced on his knees, and closed his eyes. Exhaustion closed in around him, thickening the air until his head swam and he thought he might tip forward and fall off the bench. He had been awake for most of the past 24 hours, but the turbulent emotions of the day had exacted a far greater toll. He felt himself beginning to crumble under a crushing weight of loneliness. Ordinarily he didn’t mind solitude. It was an old acquaintance, comfortable in its familiarity. He had grown up as the only child in a house of adults, and for most of his adult life he had traveled constantly, usually alone. Even in a room full of people, he preferred the protection afforded by his impenetrable wall of reserve. But tonight, something was different. He sat up, running his hands through his hair. Maybe it’s the wedding, and wondering if I’ll find my perfect match before … before it’s too late. And what if Elizabeth is ‘the one’? The thought startled him. He could think of at least fifty excellent reasons why it was impossible, absurd, even laughable. Starting with the Bennet Family. For example, Lydia Bennet, loud-mouthed, tacky Hooter’s Girl. I can see her now, lounging on the terrace at Pemberley, gulping down rum, laughing like a hyena, and fondling the gardener. The rest of the family wasn’t much better. Kitty was nothing but a watered-down version of Lydia. Mr. Bennet was unobjectionable on his own, but he seemed content to take refuge in ironic remarks instead of controlling his wife and daughters. And Mrs. Bennet, with her shrill voice, her uninformed opinions, and her ignorance of proper behavior, was a walking disaster. Wouldn’t Gran enjoy taking her to tea at the Plaza! I’m sure Gran’s friends would love to hear all about Placido Flamingo, the famous operatic tenor. Besides, he hadn’t even known Elizabeth for a day yet. It was much too soon to be thinking of anything so serious. It was happening again. He grabbed the reins of his self-control and yanked his thoughts down another path. Think about her song. Remember the insulting performance she gave, for the express purpose of mocking me. His ideal woman would be sensitive to his feelings. She would respect and support him. And she would never expose him to public ridicule. But he had to admit, she had performed well. The song provided a fine showcase for an agile soprano voice, and Elizabeth had sung it effortlessly while investing it with character and humor. And despite the disrespect it showed and the level of discomfort she had caused him, he couldn’t help but admire her wit and spirit. A reluctant smile flitted across his face. So it’s a little more than lust. She’s smart and talented, and she sparkles. But then he remembered the freezing disdain in her eyes before she began to sing. It didn’t matter if he liked her. She obviously hated him. He had to put a stop to these fantasies. She was never going to be in his arms, or anyplace else he had imagined her that day. And that was for the best. Elizabeth slipped out the glass doors from the Terrace Room to the shadowy courtyard. She needed time and space to think. What is it about William Darcy that makes me this way? She wasn’t usually upset by the remarks of egotistical boors, nor did she enjoy inflicting emotional distress on others. Yet every time William opened his mouth, she seemed to end up hurt, angry, or both, and plotting retribution. And you got your revenge. Mission accomplished. She had promised to be polite to him, yet every time they had any sort of contact, dangerous sparks flew. The only solution was to keep as much space between them as possible for the rest of the weekend, dealing with him only when the wedding events required it. This sensible plan had one gaping flaw. As she had told Charlotte, she was intrigued by fleeting glimpses of a different man, the one who had poured his heart into his music a short time ago. That man, she longed to know better. He seemed to speak a language her heart understood. Yet every time he emerged, he vanished again almost immediately, replaced by a haughty aristocrat who considered her beneath his notice. She briefly considered Charlotte’s theory of his baffling behavior. Charlotte possessed rare insight into men and their motivations, but in this case she had lost her mind. William could have any woman he wanted: a model, a movie star, an heiress, or anyone else who suited his passing whims. Yeah, sure, Lizzy, he’s going to walk past those glamorous women and fall at your feet. Besides, even if Elizabeth had somehow captured his interest, he barely knew her. Any attraction he felt after an acquaintance of a few hours had to be related to her body, not her mind. The last thing she needed was a lust-crazed man trying to scratch an itch. So it was best to keep him at a distance. She shoved away a wave of regret and squared her shoulders. Enough introspection. Time to get back to the party. She turned onto a pathway that would take her back to the Terrace Room. A figure sat hunched forward on a stone bench ahead of her. At first she paid no attention, but her feet froze when she recognized William. She turned instinctively to follow another path, but something about the slump of his shoulders stopped her. Instead, she took a tentative step in his direction. “William?” she said softly, but he didn’t respond. She walked closer, stopping beside him, and touched his shoulder. He flinched and peered up at her. “Elizabeth?” After a moment, he began to struggle to his feet, but she placed her hand on his shoulder again, gently restraining him. They fell silent, both staring at the path in front of them. Just when Elizabeth thought she couldn’t bear the awkward atmosphere anymore, William asked, “Would you like to sit down?” He slid over on the bench, looking up at her expectantly. She hesitated, but she couldn’t resist the plea that streamed from his eyes, visible even in the dim light. She sat beside him, staring into the darkness, their shoulders almost touching. So much for keeping your distance. “At Interlochen, ten years ago. You came up for a few weeks during the summer. I went to every recital and concert you gave. I even attended one of your master classes, despite the fact that I wasn’t a piano major.” She hoped it was too dark for him to see her blush. She stole a glance at him, expecting to see derision on his face. Instead, he was smiling. His eyes crinkled slightly at the corners, and dimples adorned his cheeks. He looked boyish and charming, and her heart skipped a beat. She had never considered this darker aspect of his talent and fame. “You must get lonely sometimes,” she said softly. “Sometimes,” he echoed, in a voice barely louder than a whisper. Music floated out to them from the Terrace Room. “I guess the band is starting,” she said. She nodded. “It’s such a lovely evening. A bit chilly, though, for this sleeveless dress.” She rubbed her bare arms to warm them. He shrugged off his jacket and draped it over her shoulders. “Better?” he asked. His shy half-smile touched her heart. She returned the smile and pulled the lapels of the jacket together, enveloping herself in it. They sat together quietly, and this time the silence felt more comfortable. It seemed like a bizarre dream, to be sitting beside William Darcy in the moonlight, wearing his jacket. Why not? Things like this happen every day. “If I offended you earlier with my remarks about your career, I’m sorry. It wasn’t my intention. I think you’re very talented, and I … I apologize.” His remorseful gaze held hers. She stared at him. “Why, thank you,” she said, her diction crisp and precise. He stared at his shoes in silence. After a pause, he shook his head slowly. He stopped speaking abruptly. She looked at him, eyebrows raised. He shook his head sadly. “Never mind,” he said, looking away from her. Silence fell between them again. 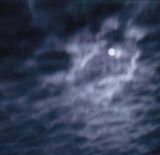 She gazed up at the moon, which was mostly obscured by clouds. The band in the Terrace Room finished a song, and she heard the faint applause of the party guests. He rose as well, a tentative smile on his face. “The pleasure, Ms. Bennet, is mine.” He took her hand and pressed it gently, looking deep into her eyes. I could drown in those eyes … Whoa, let’s not go overboard here. She drew her hand from his grasp and sat back down. Her feigned anger was fast becoming genuine, but then she saw a flash of merriment in his eyes. Well, wonder of wonders, the man has a sense of humor! “You’re a runner?” She hadn’t imagined him having any life outside concert halls, as though between performances he lurked backstage like a young, handsome Phantom of the Opera. They fell silent again. The band began to play a slow song which she quickly identified as “Bewitched, Bothered, and Bewildered.”3 She began to hum along. She shook her head. She wasn’t comfortable with the idea of giving him a private performance of a love song in a shadowy garden. “The key they’re playing it in isn’t good for me,” she lied. “Then dance with me.” He stood up and extended his hand. After a moment of hesitation, she nodded her assent and rose to her feet. He stepped closer, taking her hand and drawing her toward him. His jacket began to slip from her shoulders, so she removed it and placed it on the bench. “Will you be warm enough without it?” he asked as they began to move together to the music. “I’m fine.” His presence enveloped her in gentle warmth, at once comforting and exciting. When he reached up to brush a tendril of hair away from her face, his touch vibrated through ever fiber in her body. If this is a dream, I hope nobody wakes me. “I love this song,” Elizabeth said softly. William smiled but didn’t answer. They had been dancing in silence, a silence more profound than words. For his part, he would have been happy with any song the band played, as long as it gave him the opportunity to hold her in his arms, but the sentiments of this one suited him perfectly. She smiled and shook her head, and he decided that it was probably just as well. 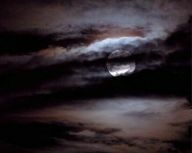 The night had taken on a surreal quality as his fantasies merged with reality. She had approached him on the heels of his fantasy of kissing her as they sat together on the bench. At first, he had thought her another figment of his imagination, but instead the real Elizabeth had shared his bench … and his solitude. And now the band played the song he had earlier imagined her singing for him as he accompanied her. He thought of the heated ending of that fantasy, and a wave of desire flashed through his body. He closed his eyes, resting his cheek against her hair, and drew her closer. He could no longer remember all the reasons why she was the wrong woman for him. He only knew how right she felt in his arms. The music stopped, followed by scattered applause and the soft hum of voices, but he continued to move slowly in time to the music that was no longer playing. “No, it didn’t,” he murmured, gazing at her through half-lidded eyes. “Can’t you hear it?” Closing his eyes again, he began to hum the tune. He smoothed her hair away from her cheek and felt her tremble. “Are you cold?” he whispered. Because I’d be happy to warm you up. She breathed a gentle sigh and her body melted against his, her head nestling on his shoulder. He was beyond thought, overwhelmed by pure sensation. The pressure of her soft body against his was driving him mad. Her hair felt like silk against his fingers. In his mind, they were transported to his hotel room, just a few floors above the shadowy courtyard. He saw himself lift her into his arms and carry her to the bed, and he shuddered with desire, moaning deep in his throat. “William?” She looked up at him, concern etched on her features. He gazed down at her, passion flooding his veins, and whispered her name. She glowed in the moonlight, cool and beautiful, and he ached to possess her. His fingers brushed her cheek, and his eyes dropped to her lips, lingering there until at last reason and caution were overwhelmed by desire. He cradled her head in his hands and lowered his face to hers. His mind fogged by potent desire, he turned slowly, only to find Caroline Bingley standing behind him. Her lips were twisted in a homicidal rictus, her eyes filled with cold fury as she glared at Elizabeth. 1 “By Strauss,” music and lyrics by George and Ira Gershwin. Performed by Christiane Noll, The Ira Gershwin Album (CD available on Amazon.com and on Christiane Noll’s website). Not available on iTunes; you can listen to a sample from Maureen McGovern’s recording. 2 Ballade No. 1 in G Minor, Opus 23, CT 2, by Frederic Chopin. Performed by Vladimir Ashkenazy, Essential Chopin, © 1995, Decca Records. Listen to a sample on iTunes. 3 This wasn’t a performance by William or Elizabeth, but if you’re not familiar with “Bewitched, Bothered,and Bewildered” and would like to hear it, you can view a Youtube video with the lyrics and and a recording by the great Ella Fitzgerald. The song was written for the Rodgers & Hart musical, Pal Joey, and the lyrics were controversial due to some not-entirely-subtle sexual references. Many singers add, remove, or change the lyrics, and in fact the version linked above includes some changes. There are many other recordings of the song, the most recent one by Lady Gaga and Tony Bennett.